I, Mahida, have worked at both local dealers and independent repair shops and it is there that I realized the great need for Knowledgeable, Reliable and Honest Independent Repair shops. In 1997, Southbay Euro Car was BORN. Since then, the business has successfully grown, thanks to our valued customers. I have over 25 years of working EXPERIENCE on cars manufactured by BMW, MERCEDES & VOLVO and over 8 years of working EXPERIENCE on cars manufactured by MINI COOPER. Our #1 goal is to provide you with high quality services and repairs, as well as earn your trust. As luxury car manufacturers create more complex vehicles, we have the latest diagnostic equipment and tools, service information, and over twenty five years of experience with professional training to service and maintain your vehicle. By bringing your European vehicle to us for servicing or repairs, you can be assured that your vehicle is in Professional, Trustworthy, Experienced and Reliable hands. Our competitive prices will keep your car running like new. 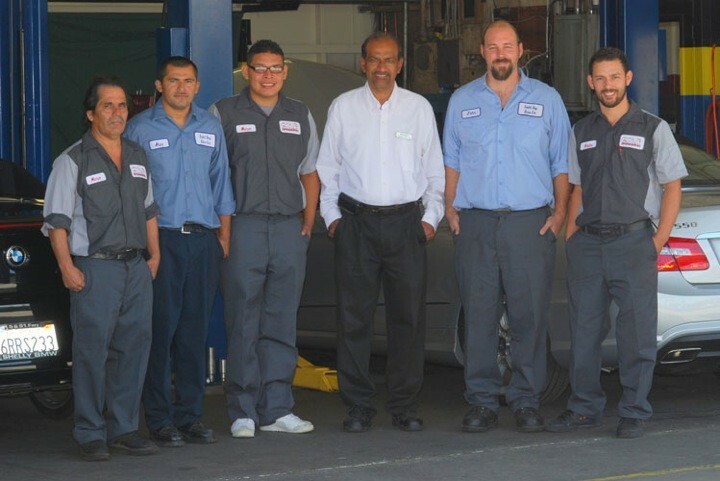 At Southbay Euro Car, you have the opportunity to see the technicians who service your car and it is our practice to save all the replaced old parts for our customers to see. Thank you to our customers who bring us 87.75 % of our business through their loyalty & referrals and helped us grow into a bigger facility in 2011. We take pride in our personal service to our customers and their cars. 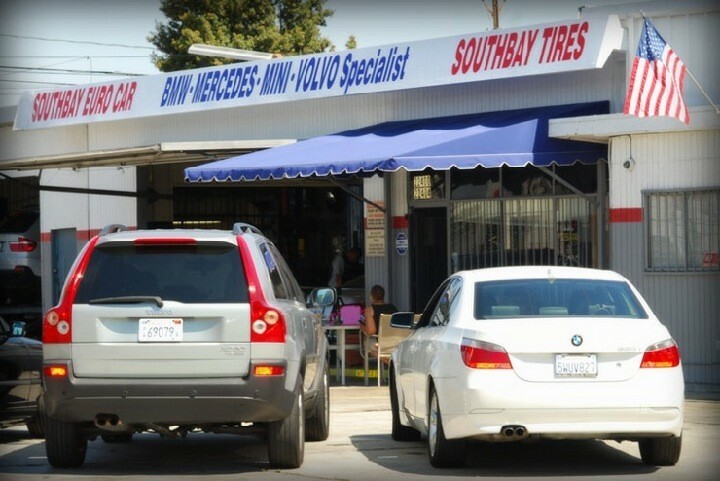 We at Southbay Euro Car know you will be a satisfied customer for life, and also refer us to your friends and family. 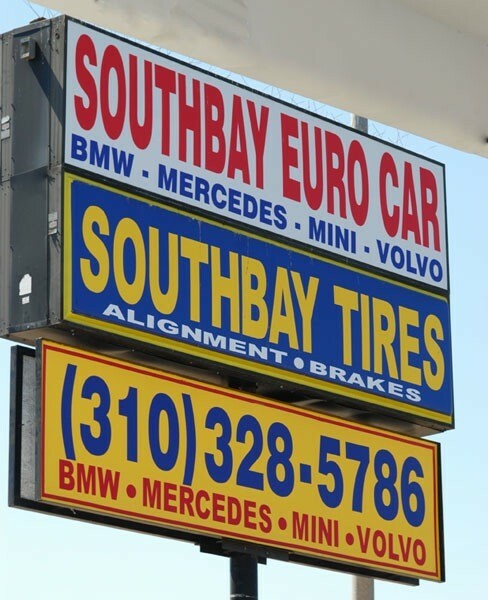 Read our reviews of Southbay Euro Car on Yelp and Google. I have been going to Mahida before he got the new shop on Western. He has been in the family for more than 10 years and all I can say is that he is the best when it comes to fixing cars. He knows what he is talking about and advises you in a professional manner on what to do and how to handle it. Plus the price is reasonable for the work that he does! I wouldn't recommend anyone else besides Mahida. Very professional and helpful. Tell him Kris sent you and he will take care of you. I have been using Southbay Euro Car since I bought my latest 540i BMW in 2008 and moved to Hermsoa Beach. I performed broad research about the BMW service providers before choosing Southbay Euro Car. I am completely satisfied with the quality of work, timely repair, as well as cost. in fact, in all categories, Southbay Euro Car has exceeded my expectations. Dependable and reliable always come to mind in describing their work. Mahida, the owner, is a terrific person is honest and operates the business with integrity. I drive a long way past many other providers just because of him. I like to thank Mahida for getting my BMW serviced today in such a short notice, I have been going to this auto shop for over 8 years, he was recommended by another shop for their expertise in German cars. They are very kind and honest and most of all you get your car fixed right the first time and prices are good too, and he takes his time to answer your questions and explain to you and that is something hard to find. I am very happy with them and will continue to recommend Southbay Euro Car to all my friends. 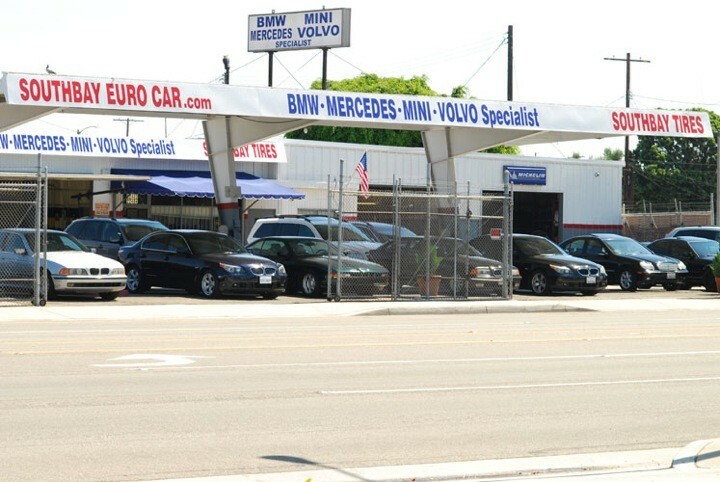 I've been bringing my BMW to Southbay Euro Car for three years now, and continue to give them my business after the move to their current location. Oil changes, brake pads/rotors, air conditioning, wheel alignment; all done in a professional manner and at a reasonable price. If you're tired of paying outrageous prices at the dealership for unsatisfactory results, just ask for Mahida and your car will be in capable hands!! This is to let the world know that if you drive a BMW the place to take it is Southbay Euro Car in Torrance. I have been with Southbay Euro for at least ten years. The best mechanics in the world. They care about their customers and have decided to being the best. We are like family. I would not take my BMW to anyone else. I know that when they are finished with the work, I don’t have to check it, it’s done right the first time. First time quality. I am pleased to know the staff are very good people. Thank you Southbay. These folks at Southbay Euro Car are incredible! I discovered this shop last year when I was looking for a set of tires - they also have a tire department. The staff is very knowledge and thoroughly honest - they don't try to "sell" you any parts or services that aren't actually needed. Because of this, they can save you substantial expense compared to having your car serviced at the dealer. I have been going to Southbay Euro Car for the past year and a half...the interesting thing is that I was referred to them by another great mechanic...however the repair was out of my original mechanics expertise. I have been extremely satisfied with the service. I always get an honest assessment from Mahida (owner) always addressing my best interest. The front staff is also very professional...If you have a BMW or Mercedes...I highly recommend you come here. I have never in my life have experienced the most greatest customer care like i did recently at South Bay Euro. Mahida was who i communicated with on a daily basis he was such a honest professional, i mean he answered every one of my questions and i was just extremely satisfied with his knowledge of my car and taking care of everything that needed to be attended to. I most definitely will recommend them to my friends and family and my car runs great. they diagnosed it was one of my cylinder heads and took care of my car every step of the way. Thanks guys at Southbay Euro.